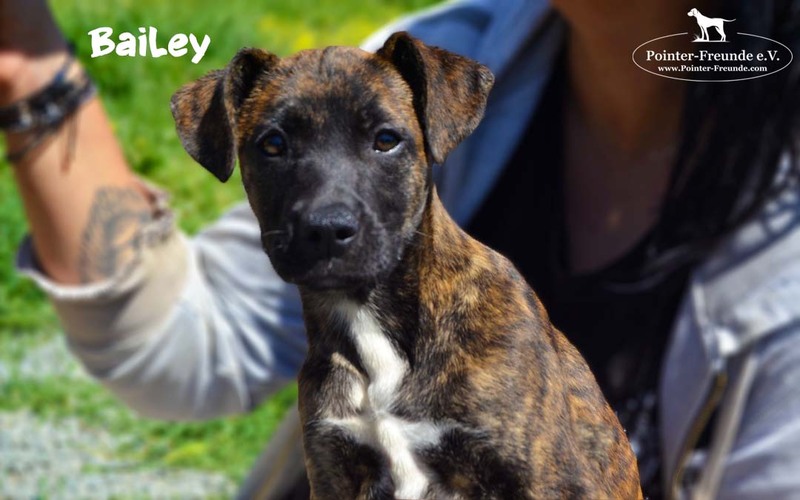 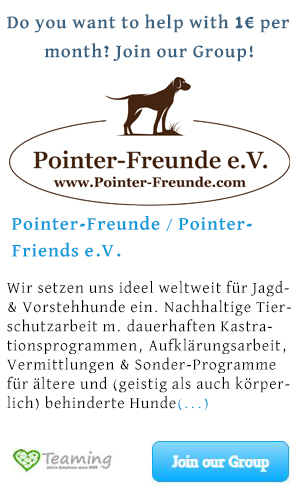 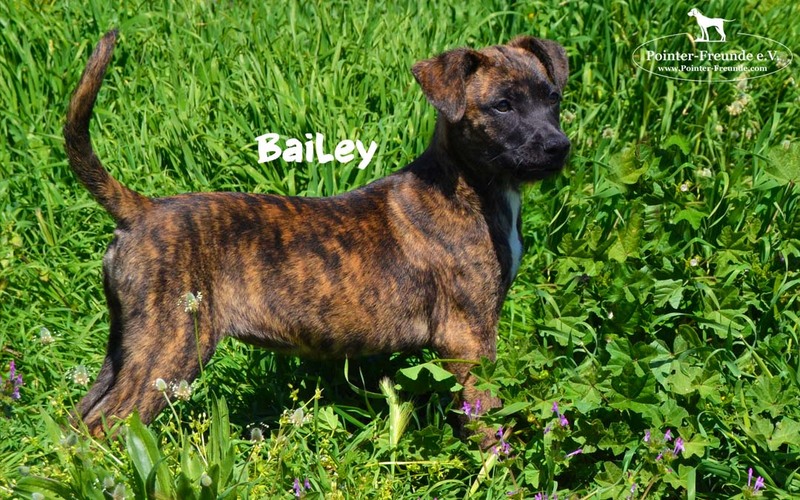 BAILEY, Mix, born 12/2018 - Pointer-Freunde e.V. 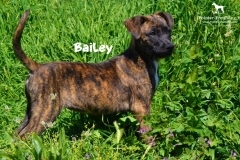 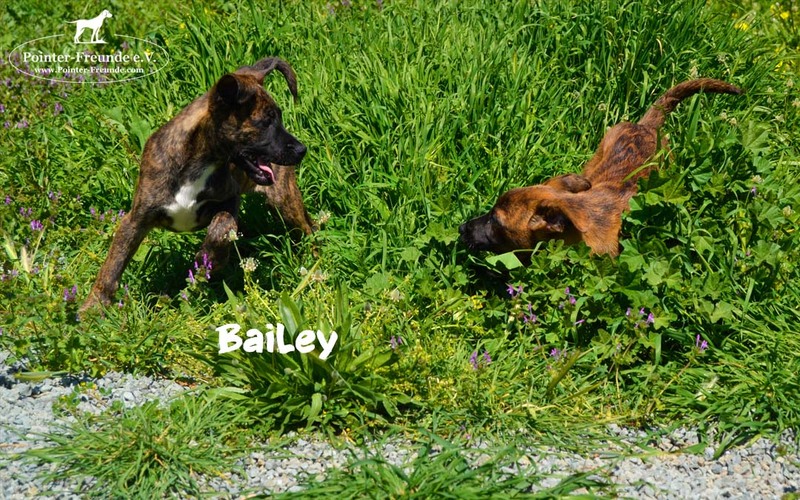 BAILEY is a bit shyer than her siblings. 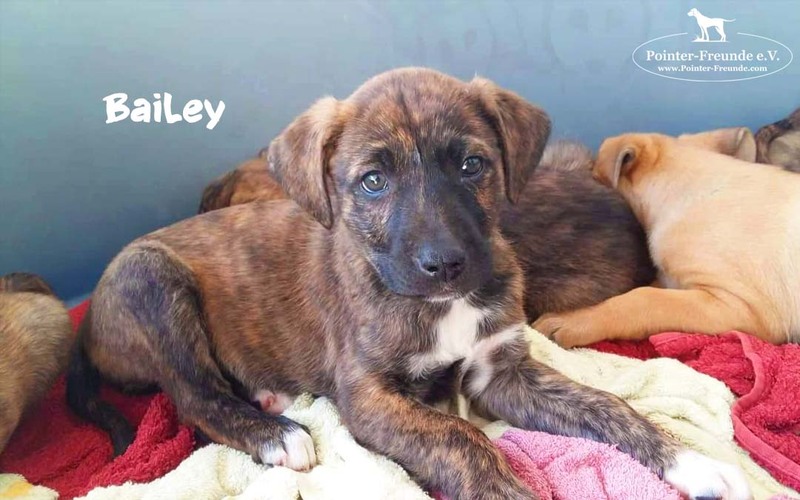 She is soft and cuddly, but needs a minute to warm up with new people. 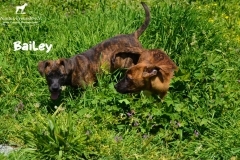 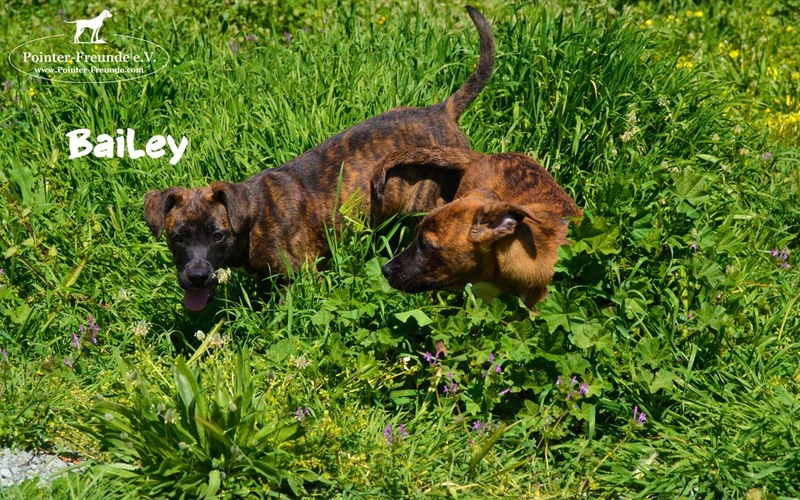 Very good with other dogs – has seen cats already and showed no interest so far. 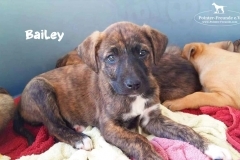 BAILEY has her own EU passport, is chipped, vaccinated including rabies, dewormed and escaped and can travel to her new home at the end of April.